Bling POP! New twist on jewelry cleaning. Be so polished with Baublerella's twist-up jewelry cleaner. Natural formula safely sparkles real or faux baubles by swiftly removing dulling build-up. 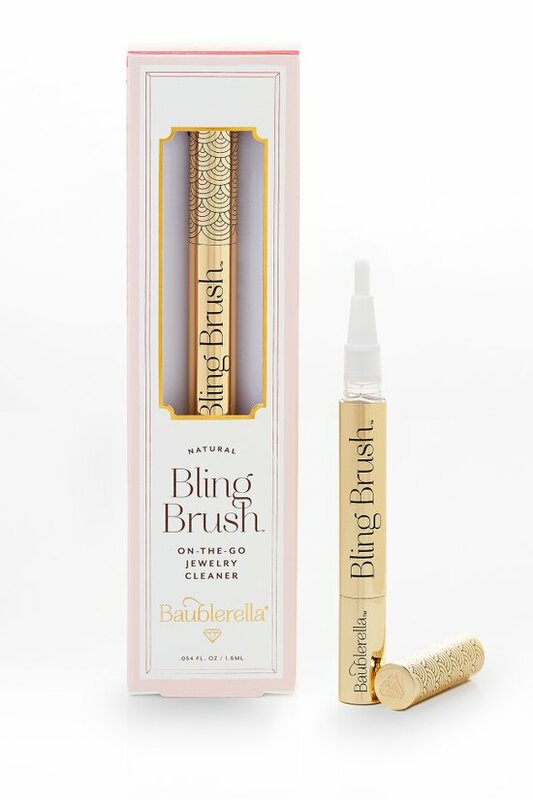 Remove the cap and twist the bottom of the Bling Brush to release formula. Clean underneath your stones and then brush the outer details. For a flawless finish, polish with any dry fabric. When cleaning fine gemstones, rinse with water for optimal results. This high quality formula contains a gentle soap based solution formulated with proprietary ingredients to eliminate and prevent any spotting or residue.